I may travel for food. I love to eat authentic food every place I travel. I never understood why people go to places and eat at chain locations. I always say yes to trips to learn more about myself and to expand the repertoire of recipes I want to create. I thank you El Paso for hosting me on my journey to self- discovery. The culture is on the plate it lingers in your heart long after the plates are cleared. The diversity of a town is one spoonful away and the understanding is in the meal. The way the meal is presented at the location you eat at and the dishes on the menu are the code of cultural understanding. When I traveled to El Paso Texas the truth was right there as the mixtures of the three locations that where Texas, New Mexico, and Chihuahua lead not only to its cultural diversity but stirred together they create a culinary experience I will not soon forget. The savory bound together with sweet accents that are accentuated with a note of heat. For the person that loves steak. If you do not love steak the location is worth the drive. I will also say my friend had the shrimp and she didn’t say a word all meal. She was in love. We stayed at the Doubletree Hotel in Downtown El Paso and we ate breakfast there. I will say I liked the cookies the best but the breakfast was worth a high five. It was unique and the birds in the nest over the steak were something I will recreate at home. 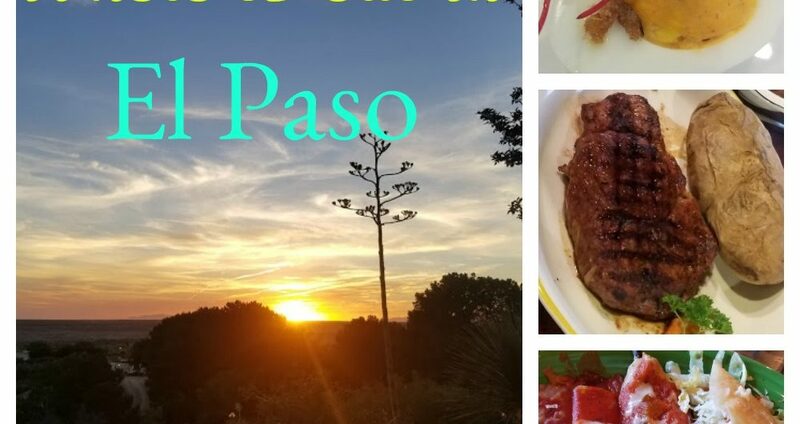 These are some more of the wonderful places we ate in El Paso~ Check them out and let me know what you think.